There is no such thing as the “digital” economy. We need to recognise that there is only the economy in a digital world. Technological change is a constant but it is increasing and will be disruptive to traditional ways of doing things, including the global trade in goods and services. 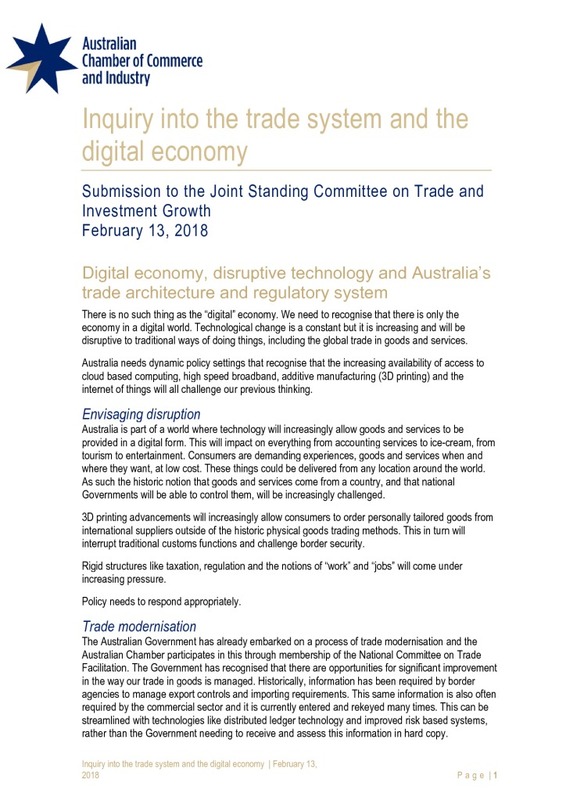 Australia needs dynamic policy settings that recognise that the increasing availability of access to cloud based computing, high speed broadband, additive manufacturing (3D printing) and the internet of things will all challenge our previous thinking.